One man's journey into the freeing of his creative mind… while wearing a kilt. I still have a hard time believing it, but it’s true. Every time I back my car into the garage, I look for it, just out of habit. I’m hoping that will fade with time, that maybe I’ll learn to look out for something else I’ve put in its place, like a cedar potting bench for my wife or… I don’t know, just the back wall? Because I’m pretty sure I’m not going to replace my table saw. 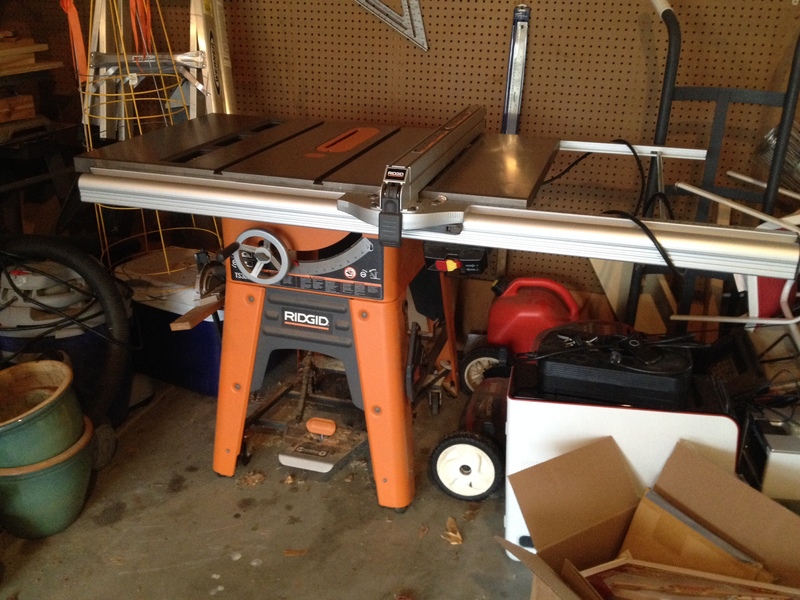 Enjoy your new home, old Ridgid Tablesaw! Except for the table saw, my drill press (which I just have to figure out who to sucker convince into helping me move, because the cast iron base is hea-vy), and an 8” Wallace short bed jointer (I am also selling, if anyone is interested… local pickup only, please), all of my woodworking tools are now in the basement shop. I was tired of going up to the garage to make some cuts and then go back down to the basement to do everything else. About a year and a half ago, I got the idea to see how long I could go without using the table saw. You might notice that’s about the time I decided to tune up my bandsaw. After a year of successfully not using the tablesaw, I started thinking about just not having it. Last month, I got a wild notion to go ahead and get rid of it. I mentioned it to my younger brother, who is a full-time woodworker in a cabinet shop, to see if he knew of anyone who might be interested in my Ridgid TS3650. As it turned out, he was still using a small bench-top tablesaw at his house, so HE was interested in buying it! Even better! His shop was closed down the week after Christmas, so he grabbed our dad’s trailer last Monday and made his way up to my house to pick it up while I was at work. Good to his word, he even left the right amount of money on the kitchen counter! Miracles DO happen, people! Is this the right move for you? I have no idea; it is something you’ll have to decide for yourself. My woodworking is 100% a hobby for me, though, so I have no concerns of speed or batch cutting. And I have absolutely no desire to try my hand at turning a bowl on the tablesaw. Instead, my concerns are safety with a four year old in the shop, dust in a basement shop with no large dust collection system, not making a lot of noise when I’m working late at night, and not having to walk back and forth between garage and basement shop all the time. Over the last year, my hand tool skills have drastically improved – especially my sawing. I certainly have a lot more to learn and improve on, but that’s part of the fun for me. I love seeing my cuts get more accurate, my joinery more precise, my finished faces more smooth. So far, I don’t have an ounce of seller’s remorse (and, believe me, I know what seller’s remorse is… I still miss my 1995 4-Runner, and I sold that most awesome truck in 2002). This tells me I’ve made the right decision. I think that’s enough big changes for the year, though. Glad I got that out of the way early on! In any case, Happy New Year, readers. Be safe. Have fun. Ahhhh… my work for the day is done. Well, I sold my 10″ table saw to my daughter’s company [actually she’s only vice-president] as a backup in their wood shop. I haven’t missed it at all. The 6″ Delta jointer has been parked under a bench for two years. I’ve had no need to pull it out. I can’t bring myself to get rid of the Power King table saw that my dad and I used to build a 12″ outboard runabout back in 1955, but I haven’t used it in a long while. I do admit to pulling out the 10″ Ryobi planar when I need to mill a 7/8″ board to 1/2″ for a small box project, but that’s it for power tools. I really am enjoying the quiet, and the cherry, maple, and walnut hand plane shavings are great for starting a fire in our fireplace. It’s been cold here in Atlanta. I completely understand having an emotional attachment to something. Honestly, I WISH I had some of my grandfather’s tools to be emotionally attached to. Well… As long as they were hand tools. 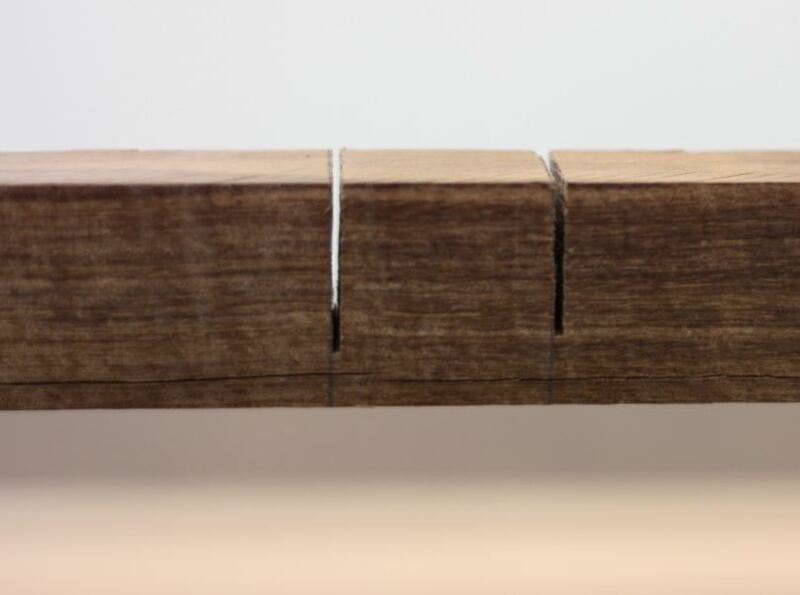 I had some expert help on tuning up my bandsaw, so it does an excellent job of resawing pieces up to 6″ wide. So if I had 7/8 I wanted to take down to 1/2, I’d do that and save the thinner piece for a bottom panel or inlay or whatever, depending on the species, and save a lot of time planing. One thing you start doing as you reduce the large tools in your shop is to work smarter, not harder. With some of the money I made selling the saw, I’m going to buy a Bluetooth speaker for my iTouch so I can listen to music in the shop without using earbuds. In the 20s this morning. The high was in the 40s. My garage heater won’t get it warm enough to hold a metal tool without gloves. Actually it was a 13 foot runabout, not a 12 inch one. Sold my TS and power jointer a few years ago and haven’t missed them a bit. Love the band saw, and still use a power planer though. Since I got it tuned up, I’ve really enjoyed my bandsaw, as well. I don’t have a power planer. The jury is still out as to whether I’ll get one. That is the one power tool I might still get and leave out in the garage; the footprint is negligible, considering what space I’ve already freed up and will be freeing up in the near future. I priced mine several hundred under the price of a new one and then I also had a good $250 in accessories – an Incra miter jig still in the box, several quality Freud blades, several zero clearance inserts, a dado set – it was a very good deal for my brother. I see a ton of sellers on CL in my area that always ask way too much for their tools. Like $125 for a Stanley #39 1/2″ dado plane or $75 for a Type 16 #5. Nobody with a little knowledge is going to pay anything close to those kinds of prices. You have to be willing to get rid of it just as much as you want to make some money off it. If the price is too close to the price of a new one, the buyer is justifiably going to think they might as well buy a new one! You might try looking for local woodworking guilds in your area to see if any members need one. I put my R4512 with a dado set up for 250… no bites…..
CL can be a fickle thing. Lots of variables to account for, as well.